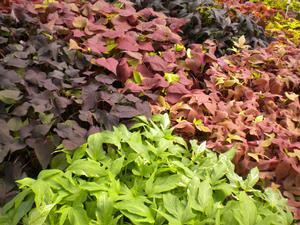 The Xtreme Impatiens produce a green foliage and covers itself with bright blooms. 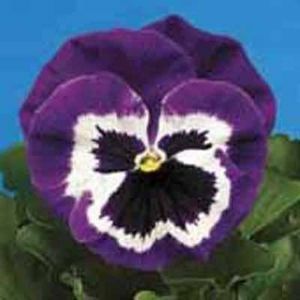 The compact, extremely uniform growth habit and vivid blooms makes this a fantastic choice for landscape, baskets and containers! 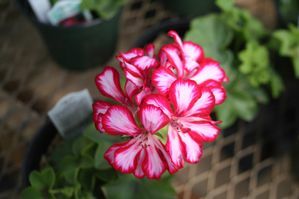 The blooms are approximately 2.5” wide amongst the foliage on short thick stems that bloom right up until the frost. These Xtreme Impatiens are desired most for their wide selection of bright, ever-blooming colors, improved heat tolerance and uniform growth habit for landscape projects. This is a great annual for Spring, Mother’s Day, Summer, and Fall. The Xtreme Impatiens prefer partial sun/shade. 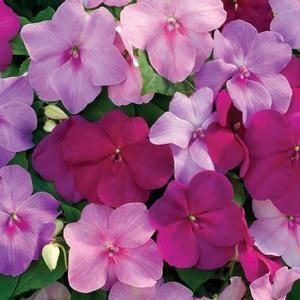 It is similar to the Dazzler Impatiens, but matures to about 9-11” tall and about 8-10” wide and prefers fertile, moist soil. Trimming back dead blossoms encourages new blooms. Please remember, these lovelies may need a little extra TLC and more consistent watering, especially if in containers!